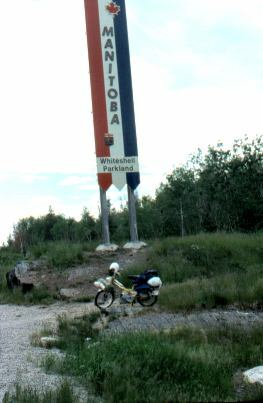 I crossed the Manitoba border on June 12. I have put these border-crossing photos into this travelogue as proof that I actually made the trip by moped. Mopeds weren't really allowed in Manitoba, so I had to take to the back roads so as to not get caught. I didn't want my trip to come to an untimely end! 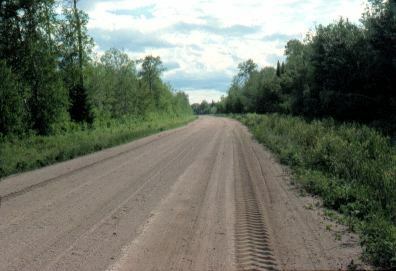 This soft sand road was very difficult to negotiate on a two-wheeled vehicle! 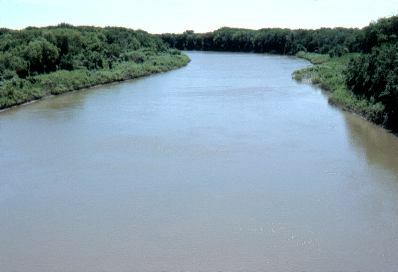 Here is the well-known Red River.